Hello folks! Lindsay here . . .
Well I hope you all have been soaking up the Olympic goodness this past week . . . the competition, the stories behind the athletes, the spandex . . . ah yes, the spandex. And we're talking men's swimming spandex here folks. You know what I'm talking about . . .
Other favorites/weird fascinations of this year's Olympics include the Queen parachuting during the Opening Ceremonies . . .
Aside from showing pride in my country via sitting on the couch watching the Olympics, I have also been finishing up some goodies to share with you all! 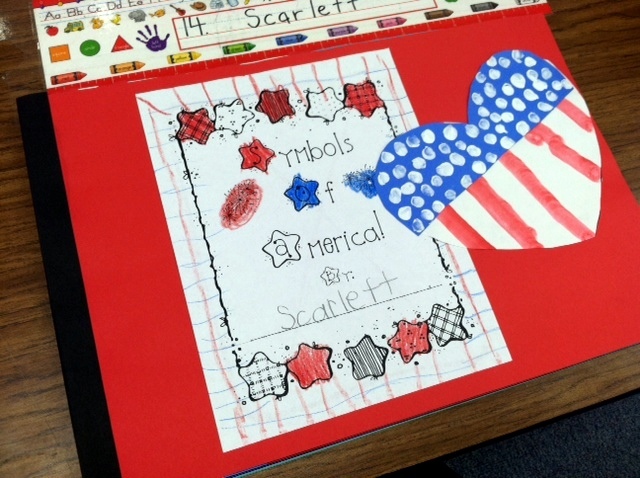 First, as promised, I wanted to share with you all some of the goodies that I used during the America unit I did with my kinders at the end of the year. My kidlets got to take their darling America books home on the last day after our graduation program. Such wonderful keepsakes! 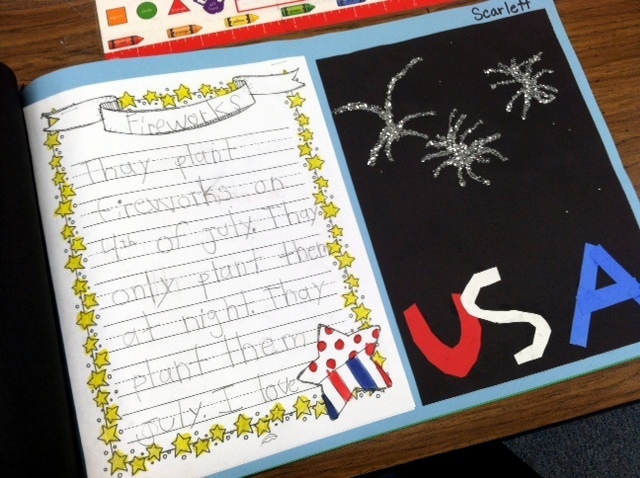 Here is a sneak peek at the inside our one of the America books - the art projects that went on each page was a mixture of TLC projects, projects from Deanna Jump's America pack, and step-draw activities that I did with my kiddos. We did one symbol a day: we watched a video or read a story about each symbol, charted what we learned, and then my kiddos had to go and write about what they had learned - and they remembered such great details! "Uncle Sam is on a poster. He is not really a person. I wish he was alive. 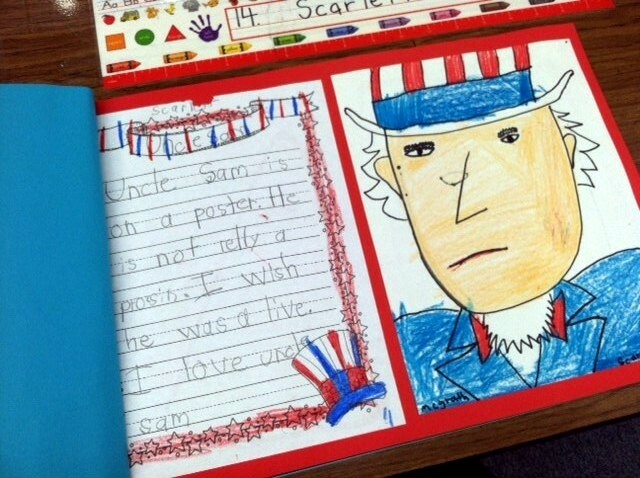 I love Uncle Sam." 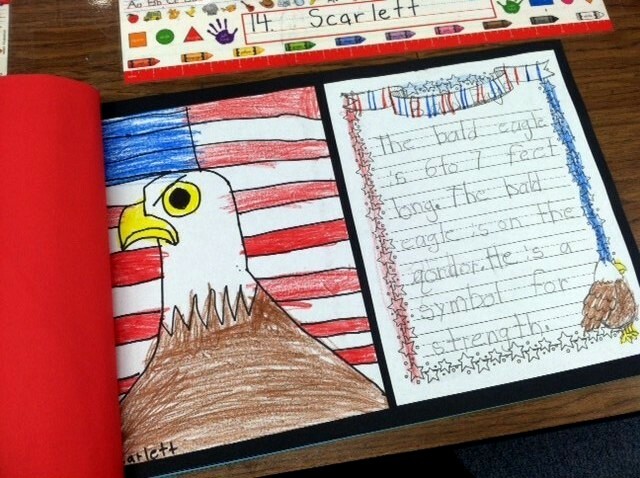 "The bald eagle is 6 to 7 feet long. The bald eagle is on the quarter. He is a symbol for strength." 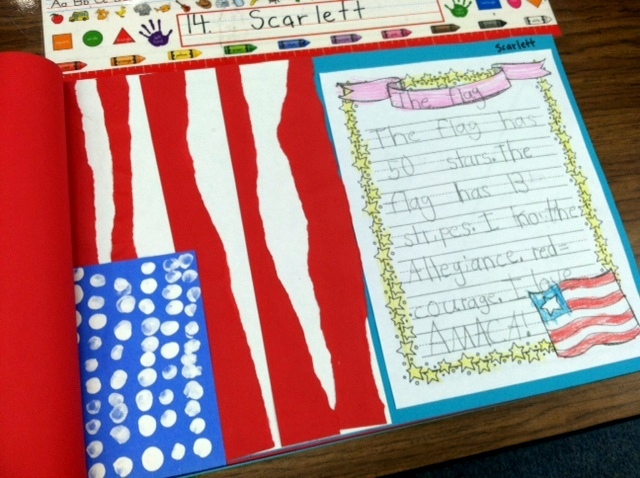 "The flag has 50 stars. The flag has 13 stripes. I know the Allegiance. Red = courage. I love America!" "They plant (plant???) fireworks on 4th of July. They only plant them at night. They plant them July. I love (continued on second page)." "I know about the Statue of Liberty. It lives on the water. It's on an island." Cute stuff, right? 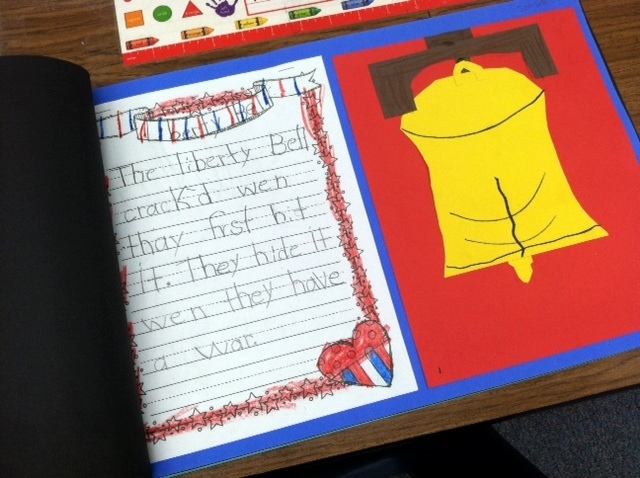 I love, love, LOVE seeing my students display their learning in their own writing. Soooooo . . . even though its the beginning of August and all of our patriotic holidays are behind us . . . I wanted to share my writing paper templates, book cover, and some color posters that I used to teach this units. 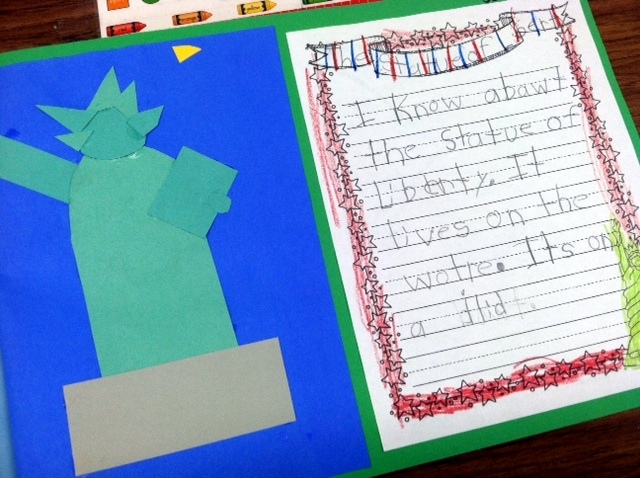 Hope your kiddos will impress you with their fabulous writing too! 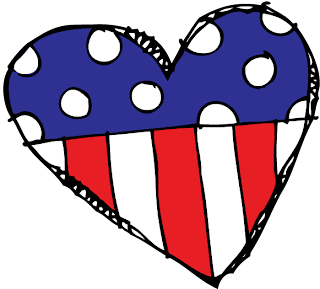 Click on the heart below to head over to my TPT store and download this patriotic freebie today! 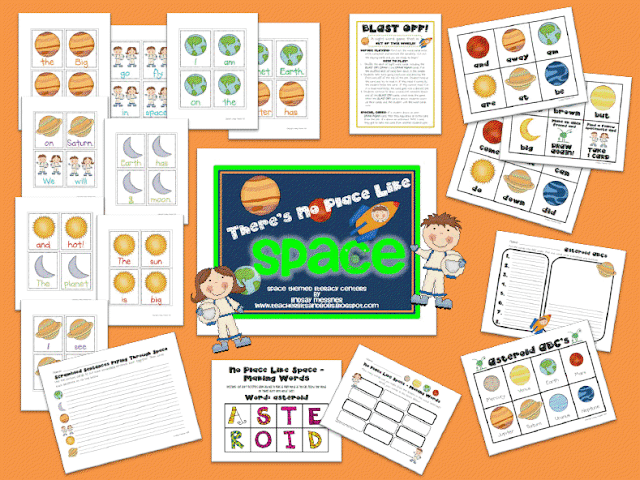 Secondly, I wanted to share with you my newest literacy centers thematic pack: There's No Place Like Space!! Yes, I'll admit it. I get all excited to teach my kidlets about space every year. It is SUCH a fun unit and my kids are always so intrigued by all of the planets in our Solar System! They have their favorite planets, they love to act out a simulation of the planets' orbit around the sun, and they get the biggest kick out of trying to guess how far each planet is from the sun (usually the biggest number they can think of) . . . something like "Seven katillion twenty hundred and ten". Close. Sorry kid. To help feed my students' apetites for all things amazingnly galactic, I created these fun, hands on and ready-to-print literacy centers. 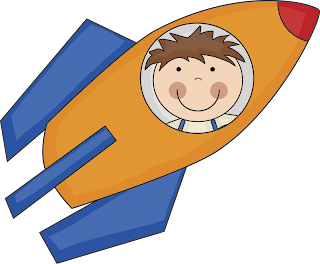 You can click on the spaceship below and head on over to my TPT store to pick yours up today! And finally, just one more thing . . . 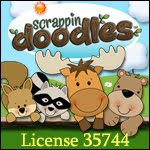 Teacher Bits and Bobs is now on Pinterest!! 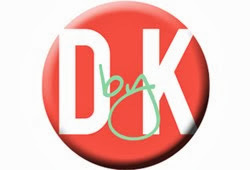 That's right folks, now you can check out our latest products, favorite blogs, and inspiring teaching ideas as you waste time spend time gathering teacherific goodness from Pinterest!! Sign up to follow us today! That's it for now! I have a date with the couch and Micheal Phelps in about five minutes. Whoa! That picture of phelps and lochte was soooo professional! (pardon me while I get over my hot and botheredness! 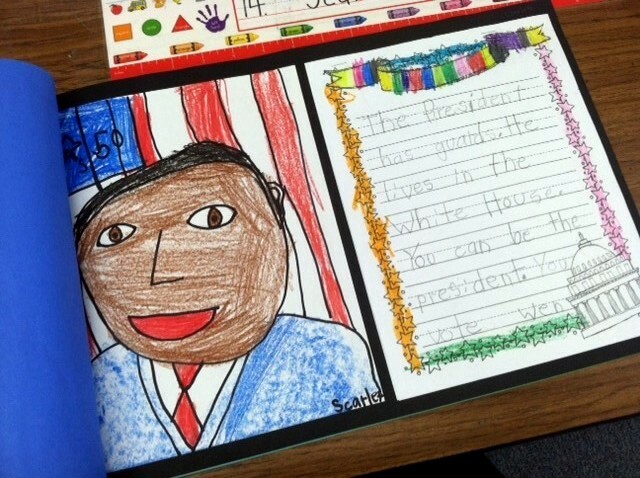 Love your writing pages for America!! Cuteness! I may have lingered and drooled over the picture of some of my most favorite Olympic athletes for a little too long. Whoops! Haha, your Olympic ponderings made me chuckle, thanks. 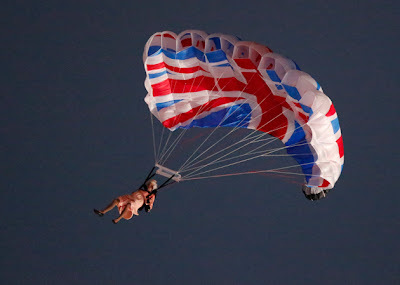 :) LOVE them Olympics. What are some books you used for the American Symbols? I love their writing! This is an awesome project!